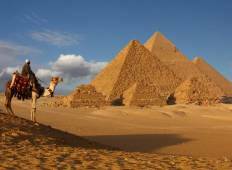 See the best 7 day / 1 week tours through Egypt. There are 192 tours going to Egypt, with the most popular time to go being May, which has the most number of tour departures. "I had a great trip thank you O the go Tours and our guide Helal"
"This is an excellent travel tour agent....we have a great adventure in travelling..."
"The tour was good especially my friend and I love the fact being escorted through..."
"Dear Walaa, I just wanted to write and thank you. Our trip to Egypt was fantastic..."
"Our experience with Egypt direct tour and Mr Ahmed was excellent.The tour was well..."
"The tour was absolutely awesome. It was also comparatively offered at a more competitive..."
"Oh, wow, indeed! 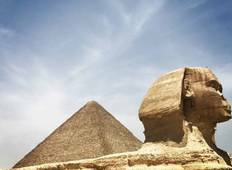 Your Egypt Tours (YET) exceeded my wildest expectations for a flawless,..."